This Community Based Organization (CBO) started as a women's group in 2004 in response to a high HIV/AIDS prevalence, poverty and lack of education, particularly amongst the women, many of whom are widows. Eventually young people of both sexes have been included as there were several young men who were unemployed and in need of community support. 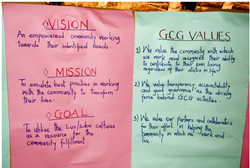 The aims of the group are to provide some sort of community forum for those in need, to provide HIV/AIDS education and awareness, help curb family violence and work toward solving gender-based problems. The group meets outdoors near a community water point - a relatively shallow open well covered by a board where water is drawn up by hand with a pail tied to a long rope. The women in this community have found themselves at a great disadvantage due to lack of education.The tribal language in this community is Luo, but most economic activity, education and even accessing medical care is done in either English or Swahili. 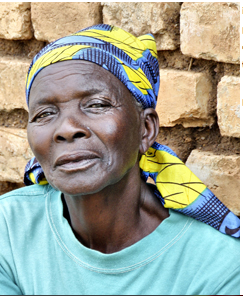 Many of the community women never had a chance to go to school and know only the Luo language. They have been gathering regularly outdoors to learn English and basic math skills. In 2011, CanAssist helped the Goodwill Culture Group to construct a classroom/resource centre so they can improve their education to allow them to better support their families and contribute more effectively to the wellness of their community.